The promise of the Tesla Model 3 is that it will one day be sold for $35,000, making it an “affordable” way to own an electric vehicle. However, as of yet, that price is not a reality. The Model 3 has just received a starting price cut down to $42,900 before incentives, making it $1,100 cheaper to start than it was. So, what’s new with the Model 3? In regards to this relatively minor individual price cut, Tesla has stated that the ending of the referral program is responsible. Their referral program allowed Tesla buyers to get a credit toward their vehicle if they recommended a friend, a move that was meant to generate word-of-mouth marketing. Judging by the brand’s high profile and long waiting lists, however, it seems they need no further advertisement. Tesla has repeatedly stated that $35,000 is their target price for the Model 3. They wish to hit that number before tax incentives and without factoring in savings of not buying gasoline. Tesla’s website works in around $4,000 of savings on gasoline into the price of a Tesla when calculating “savings,” but that’s no help for those without the money up-front to pay for a luxury vehicle. At present, the least expensive Tesla on the market would run a consumer $39,150 after applying the federal tax credit for electric vehicles. This credit is set to be reduced by half by July, making Tesla vehicles that much more expensive. For those wishing to own their own Model 3, it can seem like there’s no good time to purchase the vehicle. The waiting lists remain long, the price remains high and tax incentives are getting slashed each year. It can be difficult to determine when the right time to buy a Tesla is for the average consumer. 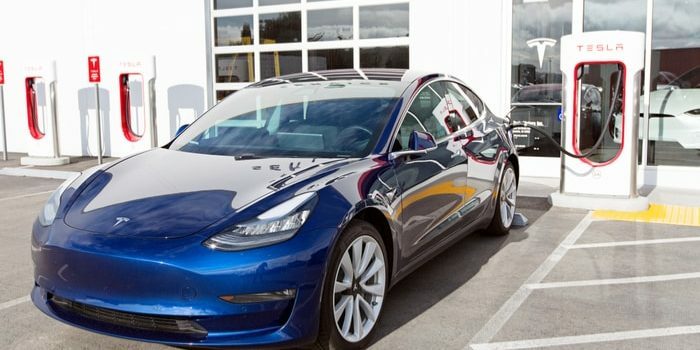 Elon Musk has stated that the process of getting the Model 3 to the target price has been “a grind,” and that the economy of scale on the project remains an issue. In the meantime, the average consumer is left with no time-table on when the right time to think about buying a Tesla is.